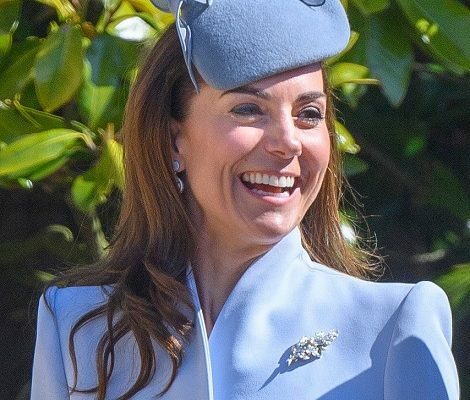 After yesterday’s outdoor engagement, today the Duchess of Cambridge, Catherine, had an artistic engagement and visited the Royal Opera House in London to learn about stage costumes. Upon arrival, Duchess was given a tour of the historic building in London’s Covent Garden before heading to the costume department. The Royal Opera, a patronage of Prince Charles of Wales and based in central London at the Royal Opera House, is one of the two principal opera companies in London. Founded in 1946 as the Covent Garden Opera Company, it was known by that title until 1968. Learn more about Royal Opera here. The magnificent Royal Opera House, with its grand classical portico fronting Bow Street, is actually the third theatre built on the Covent Garden site. Both the previous theatres were destroyed by fire, a serious hazard in the era before electricity. In 1843, the Theatres Act ended the patent theatres’ monopoly of drama and the competition for audiences intensified. Three years later, Covent Garden scored a notable coup when the gifted composer and conductor Michael Costa joined the theatre from Her Majesty’s in the Haymarket, bringing most of his company of singers with him. Following the remodelling of the auditorium, the theatre reopened as the Royal Italian Opera in April 1847 with a performance of Rossini’s Semiramide. On 5 March 1856 disaster struck again: for the second time the theatre was completely destroyed by fire. Work on the third and present theatre eventually started in 1857 to designs by E.M. Barry and the new building opened in May 1858 with a performance of Meyerbeer’s Les Huguenots. Barry also designed the striking glass and iron Floral Hall, intended as a flower market but also hosting the occasional ball. In 1892, with the repertoire broadening, the theatre was renamed the Royal Opera House. 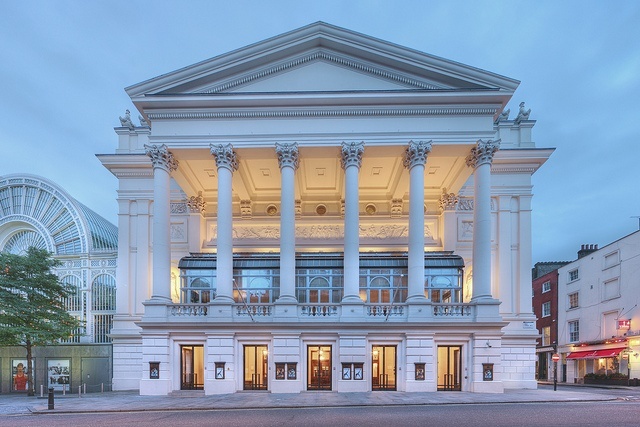 Learn more about the Royal Opera House here. Today the Opera House is home to both The Royal Opera and The Royal Ballet – a Her Majesty’s patronage that I believe will be passed to the Duchess of Cambridge in near future. The Royal Ballet is an internationally renowned classical ballet company, was founded in 1931 by Dame Ninette de Valois, it became the resident ballet company of the Royal Opera House in 1946 and was granted a royal charter in 1956 on its 25th anniversary, becoming recognised as Britain’s flagship ballet company. The Royal Ballet was one of the foremost ballet companies of the 20th century, and continues to be one of the world’s most famous ballet companies to this day, generally noted for its artistic and creative values. 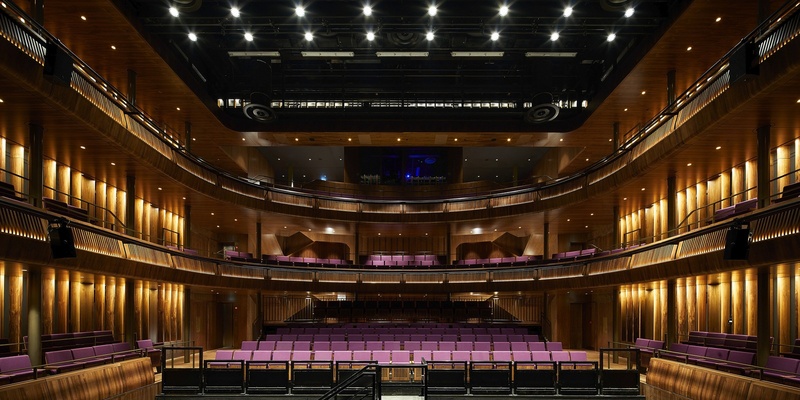 The company employs approximately 100 dancers and has purpose built facilities within the Royal Opera House. 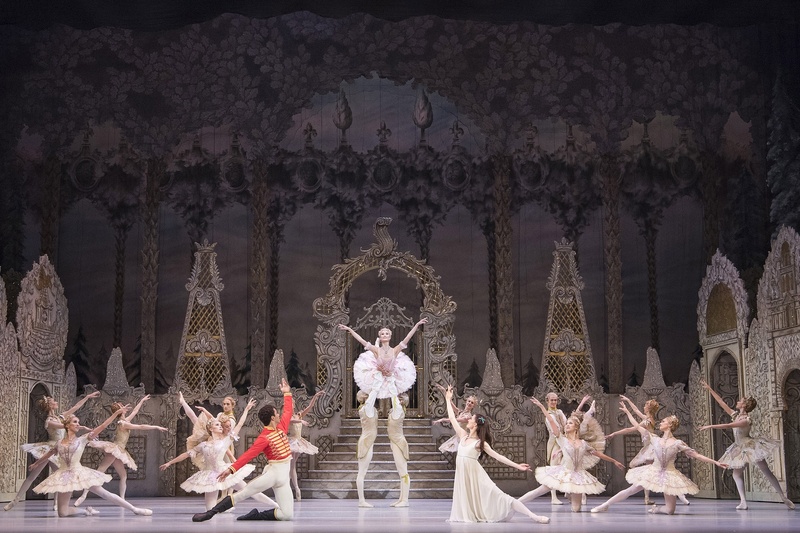 Learn more about the Royal Ballet here. It is not Duchess’s first visit to Opera House, she has privately dropped in few times before to enjoy an opera or two. In December 2017 Catherine enjoyed the Nutcracker at Royal Opera House in London away from limelight after Queen’s Pre-Christmas Lunch. 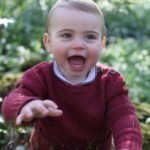 It was revealed last month that Duchess also took her three year old daughter Princess Charlotte to the Royal Ballet performance of the Nutcracker in November 2018. They watch the pre-rehearsal performance by the Royal Ballet. 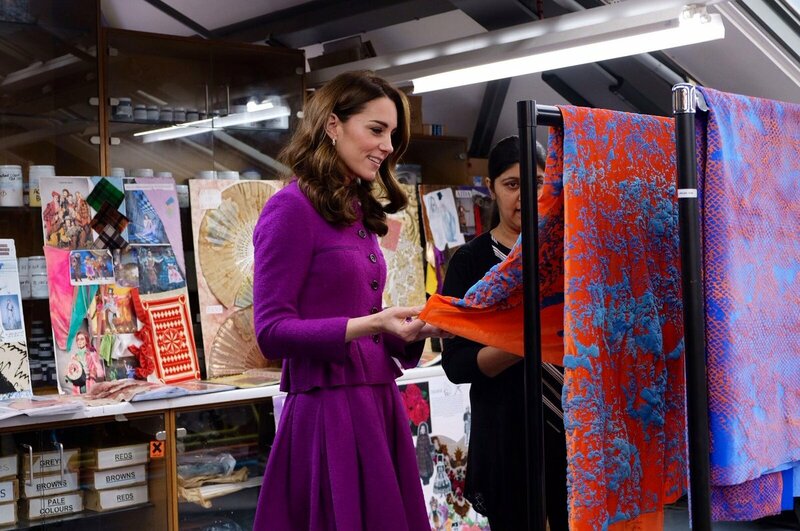 During today’s visit, Duchess learned about their use of textiles, commissioning of fabrics and supply chain. 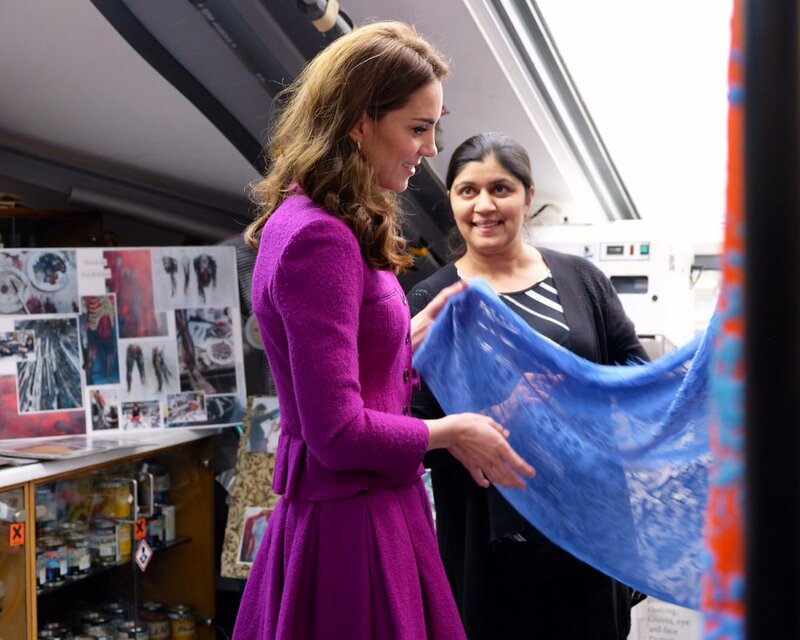 Catherine visited the pattern room where she saw the process of working and creating costumes for a new production with designers, including sourcing fabrics and samples. 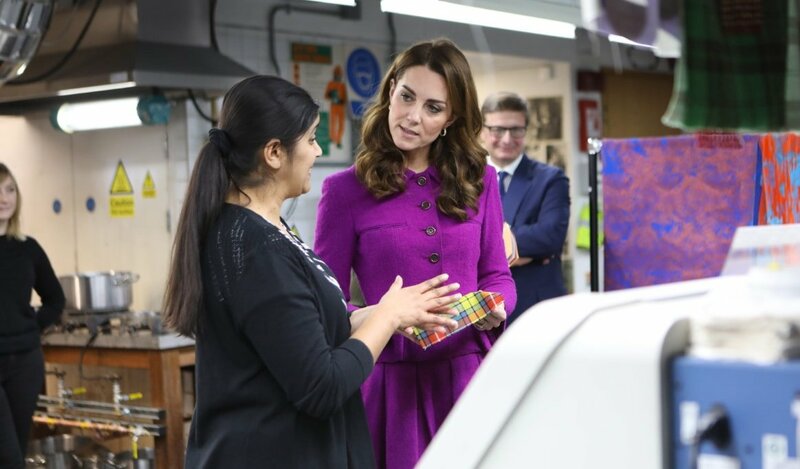 Duchess visited the dye shop where staff showcased different techniques including dyeing, hand-painting, staining garments and digital printing which allows the team to reproduce historic fabrics no longer available. She also met costumiers in the Work Room working on multiple new shows. 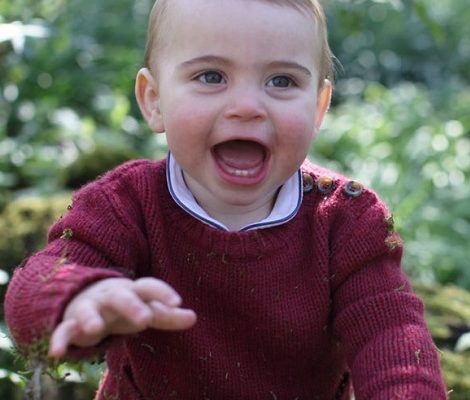 The textile and manufacturing industry is an area of interest to The Duchess. Catherine’s great-great-grandfather, Francis Martineau Lupton, was a mill owner who ran the family’s successful textile manufacturing business, William Lupton & Company, with his three brothers. 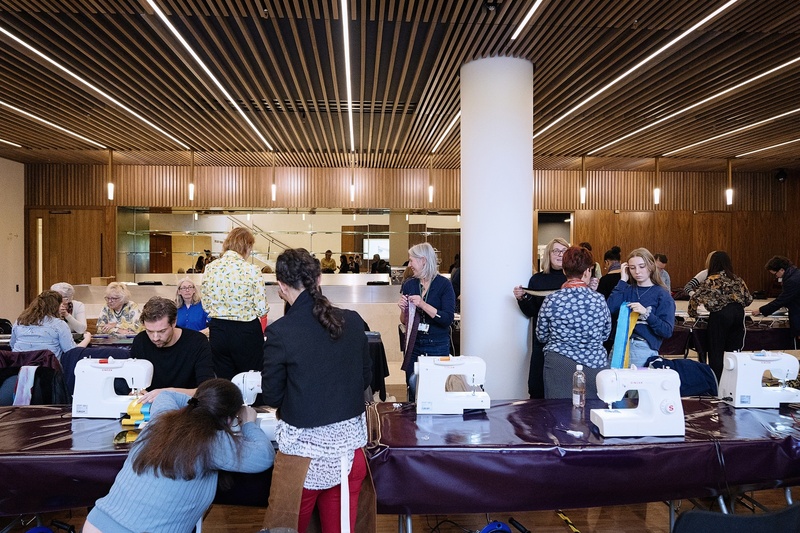 The Royal Opera House Costume Department creates, refurbishes and conserves thousands of opera and ballet costumes per season, with up to 600 costumes per production which are especially designed to allow dancers to move freely. Up to 10,000 costumes are used each year by artists from The Royal Ballet and The Royal Opera House. 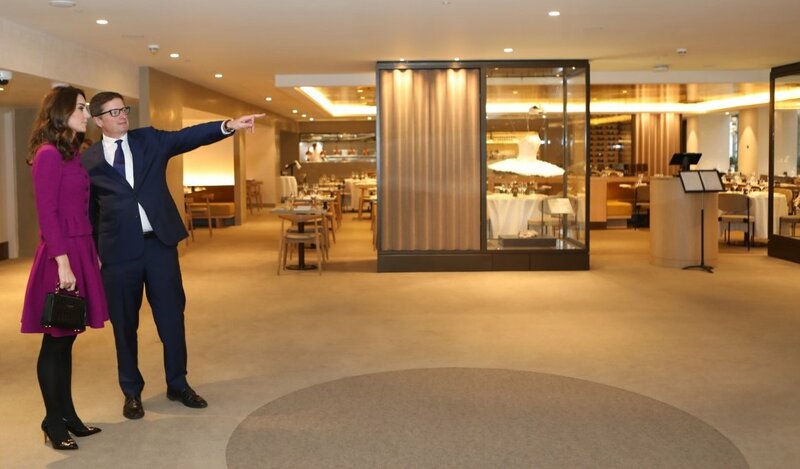 A team of 160 is spread across three floors of the Royal Opera House. 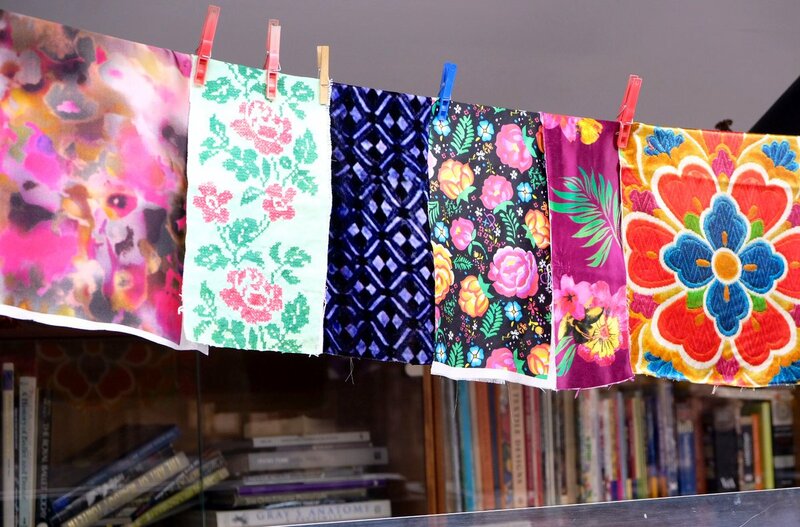 The Dye Shop work three to six months in advance, covering eight productions at any one time. Their work includes dying, hand-painting and staining garments. The dye team work closely with the Costume Workroom, preparing and painting fabrics as the Workroom team cuts, tacks, sews and fits. Learn more about the Costume designing at Royal Opera here. The department has built up a historic costume collection of more than 5,000 items, including some dating back to 1861. Many of the costumes are used time and time again thanks to good maintenance and repair done by the Costume department. It takes the entire revival workroom around 1,500 hours to refurbish the costumes. Duchess learned how to make a tutu during the visit from the Stock room supervisor Morag Beaton. 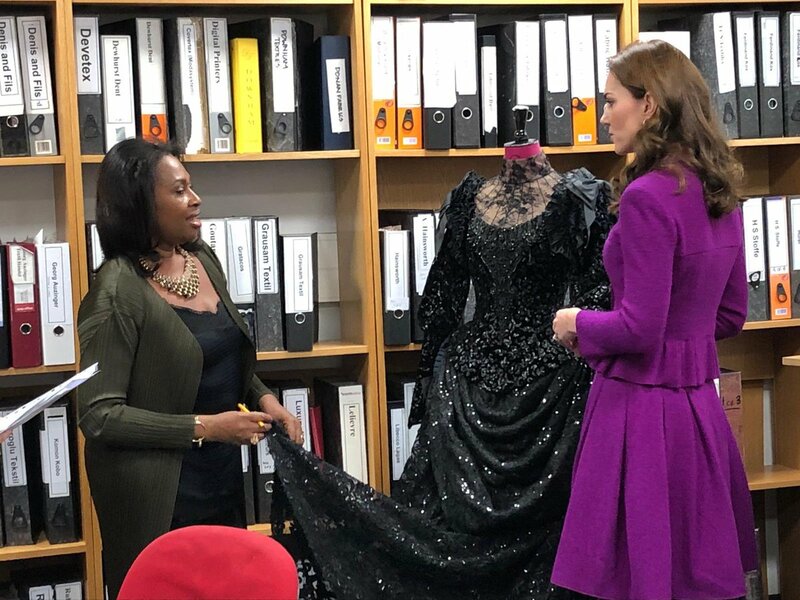 During the visit Duchess met with Fay Fullerton MBE, head of costume design at the Royal Opera House and had a briefing about the costumes from Swan Lake after showing great interest in the costumes. 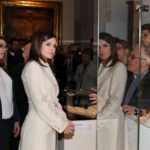 Palace announced that Over the coming months, The Duchess will be exploring her interest in the use and manufacture of textiles through learning opportunities, visits to places like the Roya lOpera House and meetings with industry experts. 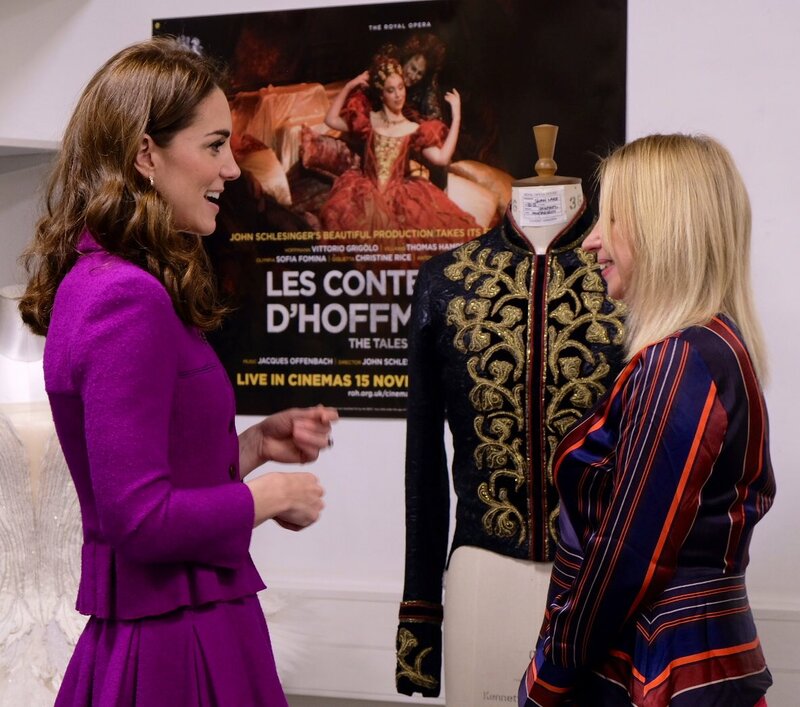 Next Duchess met with Royal Ballet Principal Dancers Lauren Cuthbertson, Laura Morera and Vadim Muntagirov who explained how various factors such as lighting, interaction and movement influence the designs of their costumes. For the artistic visit, Duchess chose to bring back another piece from her impressive wardrobe. She was wearing pink Oscar de la Renta Skirt suit. 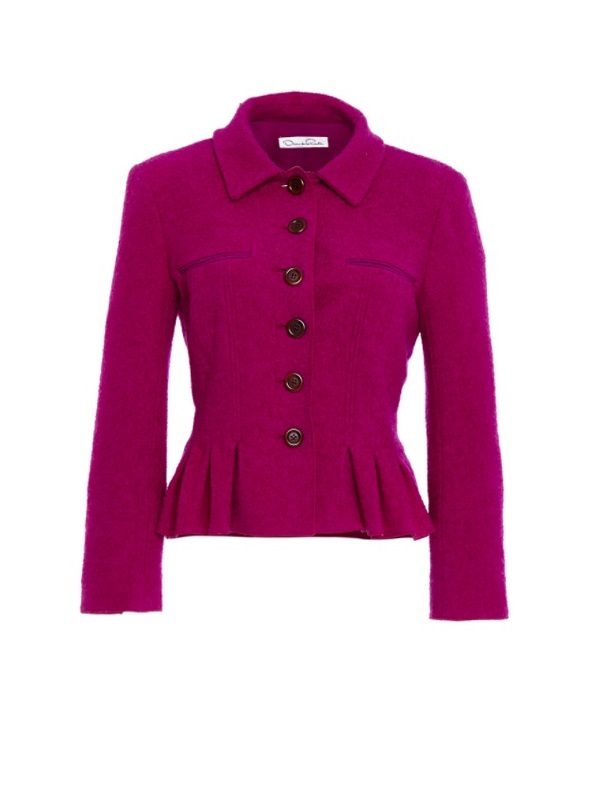 The ensemble consists of peplum jacket and wool Skirt. Emma4AboutRoyal mentioned that Duchess first wore the ensemble on Queen’s pre-christmas lunch in December 2016. 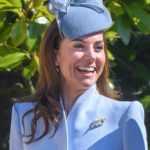 Duchess was first seen wearing the two piece ensemble publicly in February 2017 during the Guild of Health Writers Conference. The jacket features a pointed collar, button-up front and a pleating flared hem and retailed for $2190. The designer described the colour as ‘ultraviolet’. The skirt features a full shape with box pleating. 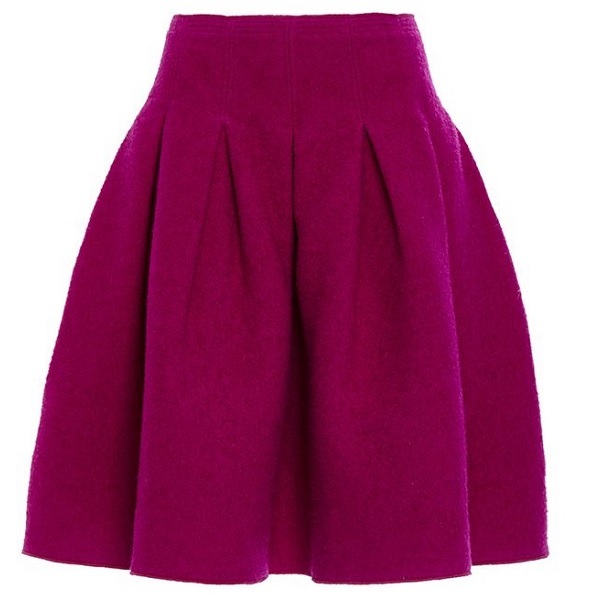 The flared skirt retailed for US$1,290. The skirt suit was from label’s Ready-to-wear Fall/Winter 2015 Collection. Catherine paired the outfit with a new pair of shoes. She wore Rupert Sanderson Nada patent leather pumps with gold pebble. Thanks to ufonomore and GabiK_blogoKate for quick id. ufonomore on Twitter got the confirmation from label that the design is exclusive to the label’s London Store. 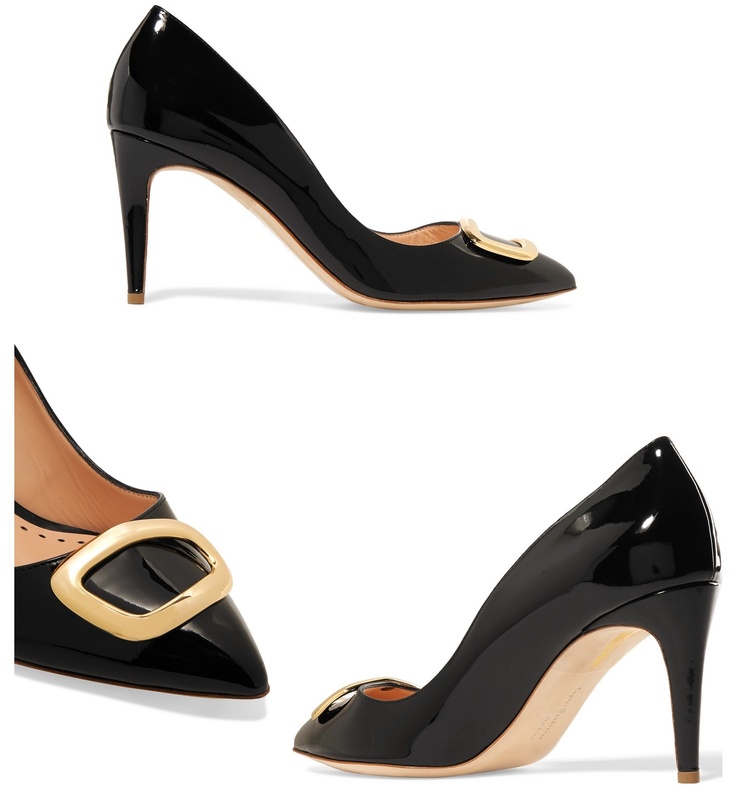 Here the Nada Pumps are shown in different style sold out on Net-a-Porter. The €565 pumps were described as, “Expertly crafted in Italy from glossy patent-leather, this pair features the label’s signature hollow gold pebble at the pointed toe”. 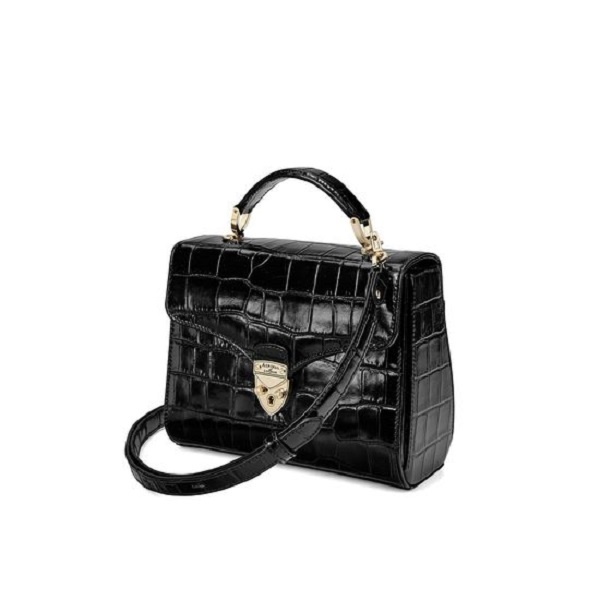 Duchess was carrying her Aspinal of London Midi Mayfair Bag in Deep Shine black croc. She first carried the $725 bag in November 2018 during Leicester visit. 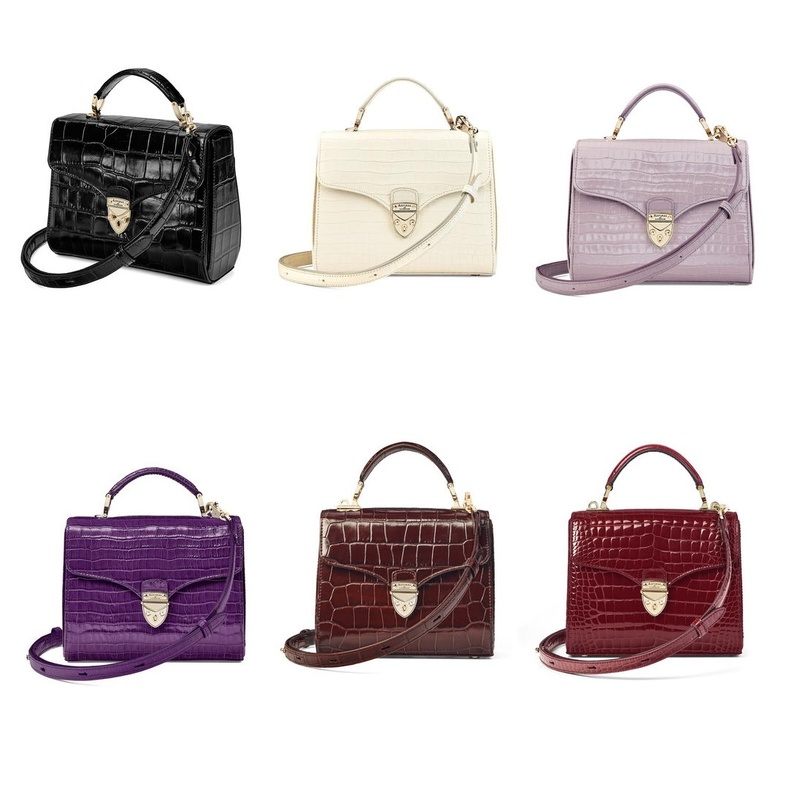 The bag is available in Black, Ivory, Lilac, Amethyst, Amazon Brown and Bordeux Patent. 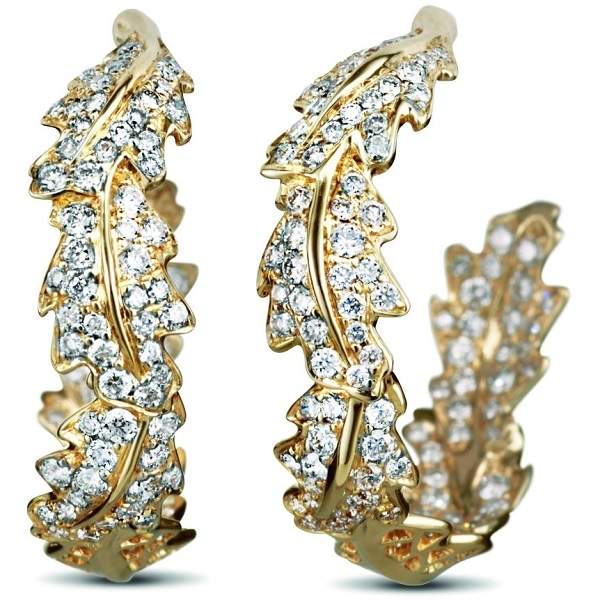 She finished her look with Asprey London Oak Leaf Small Hoop Earrings that she first wore at the Wimbledon Finale in July 2018. PS: Post will be updated shortly.